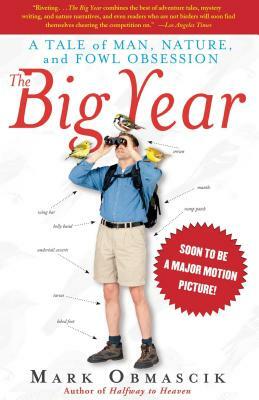 Every January 1, a quirky crowd storms out across North America for a spectacularly competitive event called a Big Year -- a grand, expensive, and occasionally vicious 365-day marathon of birdwatching. For three men in particular, 1998 would become a grueling battle for a new North American birding record. Bouncing from coast to coast on frenetic pilgrimages for once-in-a-lifetime rarities, they brave broiling deserts, bug-infested swamps, and some of the lumpiest motel mattresses known to man. This unprecedented year of beat-the-clock adventures ultimately leads one man to a record so gigantic that it is unlikely ever to be bested. Here, prize-winning journalist Mark Obmascik creates a dazzling, fun narrative of the 275,000-mile odyssey of these three obsessives as they fight to win the greatest -- or maybe worst -- birding contest of all time. Outside magazine A feathered version of It's a Mad, Mad, Mad, Mad World. The Boston Globe Superlative...ebulliently wonderful....The suspense ratchets up, and Obmascik's considerable skill is to make these men so real in their quests, so admirably alive, that in the end who wins the contest is almost beside the point....Because the true subject here is the human spirit -- and all the impossible, incredible, and wondrous things we do and endure for our beloved passions. Chicago Tribune A most compelling tale. This is a bird book for the masses....Their chase is entertaining and wonderfully retold.